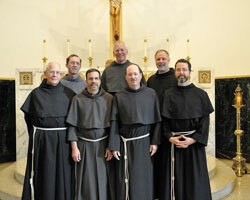 The Conventual Franciscan Friars of the Province of Our Lady of Consolation held the first phase of their quadrennial chapter on March 15-18 at Mount St. Francis. The purpose of the chapter is to review the life of the friars over the past four years, elect leadership and develop goals for the next four years. Conventual Franciscan Father James Kent was elected minister provincial by a mail ballot of friars of the province last November. Elected at the chapter as definitors, or provincial assistants, were Friars Paul Clark, Martin Day, Camillus Gott, Wayne Hellmann, John Stowe and Mark Weaver. Friar John Stowe was also elected vicar provincial, and Friar Paul Clark was elected secretary of the province. Friar James Kent is the son of Jack and Mary Kent of St. Bartholomew Parish in Columbus. 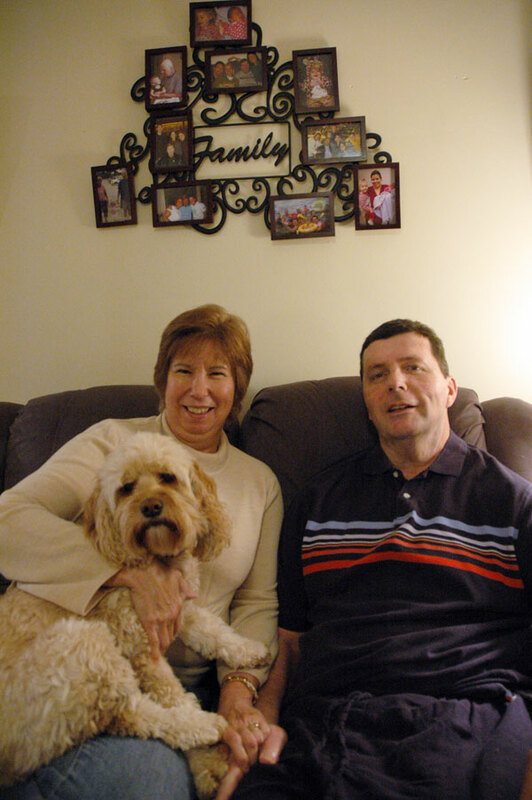 Friar Wayne Hellmann grew up in St. Benedict Parish in Terre Haute, and Friar Martin Day is a graduate of the Kelly School of Business at Indiana University in Bloomington. On March 17, Jerry and Cookie Dooley, members of St. Joseph University Parish in Terre Haute, and Ed and Thecla Sinkhorn, members of St. Mary Parish in Navilleton, were made honorary affiliates of the Province of Our Lady of Consolation. Honorary affiliation is given to men and women who have rendered significant voluntary service to the entire province and the order.